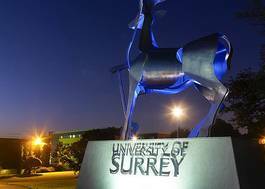 Study Physics with Astronomy at University of Surrey - Which? Overall: ABB from a combination of the Advanced Skills Challenge Certificate and two A-levels. Applicants taking the Science Practical Endorsement are required to pass. Required Subjects: A-level Mathematics and Physics. GCSE or Equivalent: Completion of GCSE English and Mathematics equivalents within the Advanced Skills Challenge Certificate. On our Physics with Astronomy programmes you will gain a thorough understanding of all the core elements of traditional physics – such as particle physics, atoms and molecules, quantum mechanics and astrophysics – and tailor your programme by choosing from a range of optional modules. 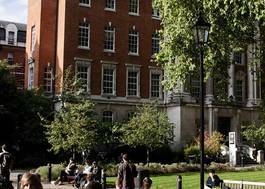 You can also switch between any of our specialist Physics degrees during your first year. You will benefit from extensive facilities within the Department of Physics including refurbished undergraduate teaching laboratories and our new student observatory for astronomy. Students on our MPhys programme can also choose to conduct a research placement at a major international astronomy laboratory.